When people think of zombies, it's usually in a fictional context or in connection with Halloween. But science writer Matt Simon, whose spent an awful lot of time studying parasites, says that the concept of brain control is not entirely far-fetched. Parasites are nature's body snatchers. They latch on to their host and manipulate the organism's behavior, according to Simon, author of "Plight of the Living Dead: What Real-Life Zombies Reveal About Our World — and Ourselves." 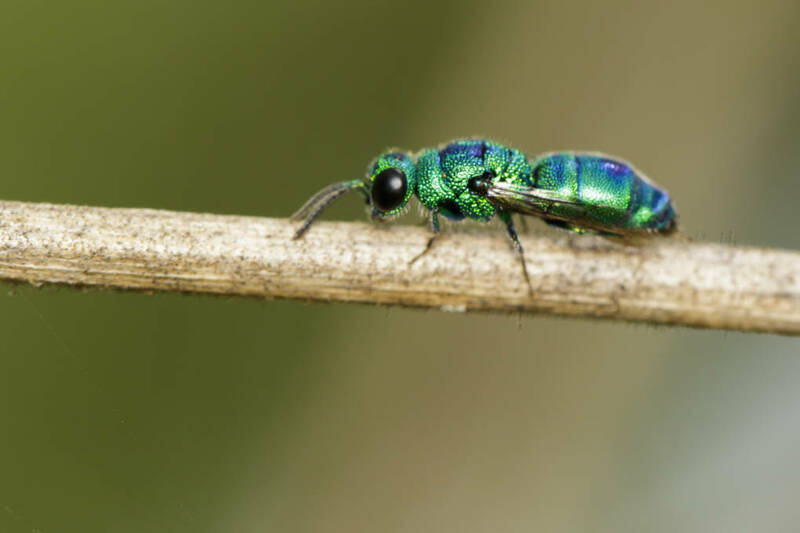 Take the example of the jewel wasp, who injects a mind-altering substance into a cockroach's brain and then guides it into a burrow. Here, the roach allows itself to be used as shelter and food for the wasp's larvae. Or consider the horsehair worm, which grows inside a cricket’s stomach, persuading it to hurl itself into a body of water, where the worm can find other parasites to mate with. And there are humans, about a third of whom may carry a parasite known as Toxoplasma that's been linked to risky behavior and schizophrenia. Pregnant women are typically told not to handle cat litter, where this parasite usually shows up. Toxoplasma is actually meant to work on rodents, making them attracted to cat urine and thereby bringing them closer to their prey. The cat can then easily pounce on the infected rodent, which then ends up in the cat's stomach, where the parasite can complete its life cycle. Because our brain structure is similar to a rodent's, the parasite can influence our behavior as well. And while those behaviors are not as pronounced as in infected rodents, Simon says some studies show that risk-taking behavior in men goes up, while in women, the parasite has been linked to suicide rates and schizophrenia. There's also the rabies virus. "If you've ever seen videos of people in the throes of an infection, it's really difficult to watch," Simon said Wednesday on KQED's program Forum. "Part of the manipulation of the parasite is to [...] keep the host from washing out that virus. So the manipulation is don't drink water. Not only that, be afraid of water." Simon says the virus essentially strips people of their humanity. Parasites take us into frightening realms of biology that raise intriguing questions about human free will and personal autonomy. For Simon, it serves as a humbling reminder that we're not all that different from simpler organisms that share our planet. "We're made of meat, like every other organism,' says Simon. "We think that we have these great big intellects, these wonderful egos, and consciousness and free will. But at the very base of it is this pure biology that these parasites are manipulating." How much of our behavior then can we chalk up to our brains and how much of it might be the manipulations of bad actors in our heads? "Maybe we're compelled by forces of nature as well as our own neural patterns, much more than we'd like to recognize or believe," says Forum host Michael Krasny. Simon points to the growing debate surrounding social media use and mind control. Former social media executives in recent months have said that they specifically designed these platforms to be addictive. "It comes down to the dopamine chemical, which makes us social. But these pathways are continuing to be exploited," says Simon. "Is that something you're really choosing to do or that dopamine ordering you around?" Simon says that, as humans, we need to believe in free will in order for society to function. "You have to have society hold people responsible for their actions," says Simon. "But it's really interesting to think about these parasites that are manipulating behavior, how they might be turning us into not just humans but something kind of a hybrid in our behavior." And as much as we know about parasites, the ones we haven't uncovered yet are just as unsettling. "There could be so many out there that we don't know about because maybe the parasites are manipulating the smells of their host or the sounds that they make," says Simon. "And we're just not equipped as humans, as visual creatures, to understand it."